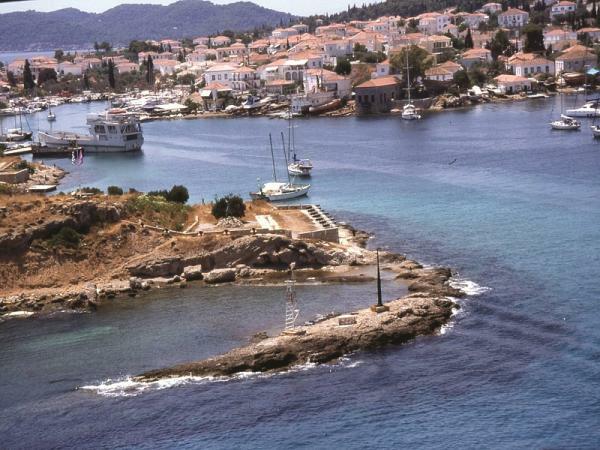 Located at the right-most edge, at the old port of Spetses, it was first lit in 1837. It’s one of the oldest lighthouses of Greece. At first it functioned with oil. Ever since 1986 it has became automatic, functioning with electric power. It’s over 11 m. high, and located on a small hill, which gives it a total height of 27 m over the sea surface.